Choosing the Fast Track Is the Wrong Track: Would you send your family up in an airplane if the pilot told you that they had never flown before, but just crammed a month’s worth of training and practice into an inexpensive and convenient seven-day “fast track to flying” program? 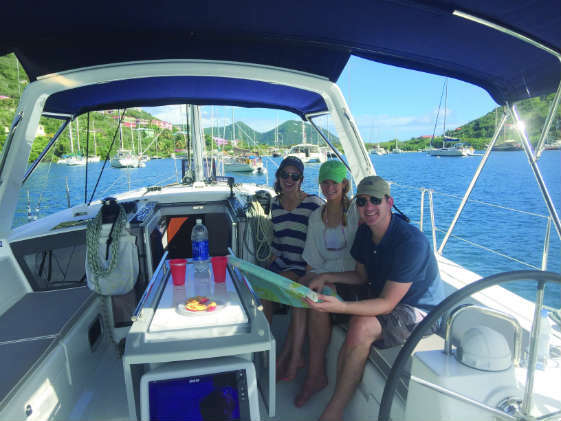 Many people are taking their closest friends and relatives out on charter yachts that could easily cost more than their house in unfamiliar waters after taking a “fast track to sailing” program that promises them three or four sailing certifications in just one week. Like too many others, these people have just been suckered by a “Fast Track” or “Instant Bareboater” marketing scheme. It is time to educate the public on why these programs are such a terrible idea. Schools that offer these “crash courses” do not have their clients’ best interest in mind. They put amazing amounts of pressure on their instructors to pass people for the sake of convenience. They put amazing amounts of pressure on their instructors to perform the impossible by forcing them to cram too much information into too little time. They shoot themselves in the foot by charging too little and rushing people through the certification system, making it impossible for them to afford nicer training vessels and forcing them to pay their instructors a meager salary, thus not attracting high-level instructors. They give their students a complete false sense of accomplishment, and they teach them just enough to be dangerous. By the week’s end, the instructors are exhausted, and their students, who are overwhelmed, have already forgotten half of what they learned—or worse, the students are in total bliss because they truly believe that they have earned a handful of internationally recognized certifications and they are ready to take on the world. They have no idea how much they were not taught because there just wasn’t enough time. Graduates of these “Fast Track” programs are wreaking havoc on charter fleets and marinas around the world. Too many schools have adopted this concept because they convince themselves that convenience is more important than high standards. They are entranced by “instant gratification,” and forget about developing long-term results. Countless boats have been damaged and injuries have occurred. I wonder how many marriages have been strained or have fallen apart because of these programs. If something seems too good to be true, it probably is. New sailors must do their homework. There are plenty of sailing schools who refuse to give into this “Fast Track” epidemic. I dream of the day when U.S. 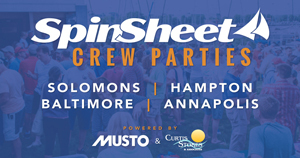 Sailing and the American Sailing Association take a stand against these “Instant Bareboater” schemes to protect the value of their certifications, to protect marinas and charter fleets, and to protect people’s families and friends. I dream of the day when all sailing schools realize that slowing the certification process down just a little, will actually make them a bit more money, which in turn will help them buy better training boats and provide their instructors with a livable wage. The student’s results will skyrocket, and the entire sailing industry will benefit. 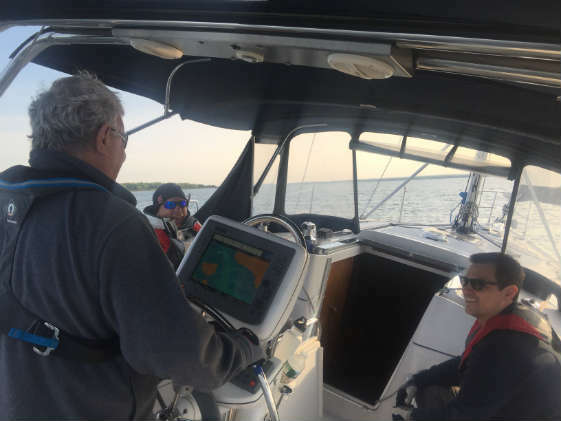 Sailors who grew up in a junior sailing program and/or spent most of their life cruising with their parents could easily have the skills and background to successfully complete a “Fast Track” program, but most new sailors do not have this foundation to build upon. These folks should avoid any school trying to lure them in with promises of multiple certifications within such a short time. About the Author: Brenton Lochridge has been teaching sailing full-time for more than 25 years. He owns Black Rock Sailing School, located in Massachusetts, Rhode Island, Florida, the Bahamas, and the Virgin Islands. FIND MORE GREAT TIPS from sailing school professionals in the April issue on page 53.